Hen & Birthday Parties - Reach for the change. Let your hair down and party on! ​Whatever the occasion, hen party, birthday party or just girls getting together - isn't it a great idea to let your hair down, awaken your inner goddess and have some fun with your favourite girls? Whether you're looking for an afternoon activity or something to kick start your evening, PDT party will provide a lot of fun! During your pole dancing class, you'll learn all kinds of sensual dance moves and tricks on the pole, wall and the floor. We start off with a sensual warm-up to get your joints moving and then progress to the pole, floor and the wall. Marija will guide you through various dance moves and make sure you have a wonderful time! Parties run for 1 hour in total, which gives you enough time to take photos, chat, and of course – dance! Price varies depending on number of attendees and class duration. Price for 1 hour class for 10 participants would cost €15 per person, for 15 participants €10 per person. And remember - you don't need any experience. Pole dance parties are suitable for people of all ages, shapes and sizes. 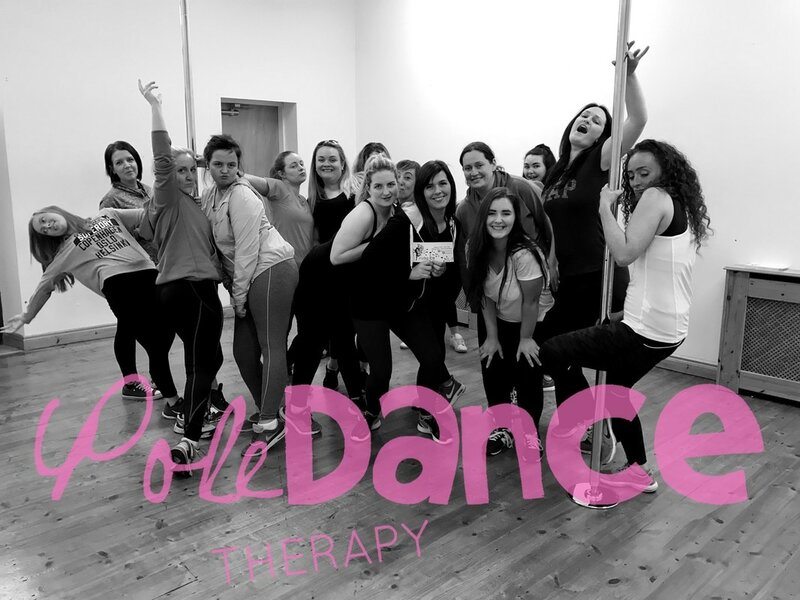 To arrange your pole dance party call us on 0874416753 or contact us here. This will be a party to remember!